Utah is already locked in to the #5 seed for the opening round, and it looks like they will be facing off with the TrailBlazers. This game is purely going to be a confidence booster for the team if they are able to continue their recent hot streak in this affair. The Clippers, on the other hand, need a win to have a chance to move up to the #7 seed. Denver and Houston are just half-a-game apart for that spot, so tonight will determine a lot. LA doesn’t own the tiebreaker with the Spurs who enter tonight with the same record. One thing that has really stood out about the Jazz over the past few weeks, has been the incredible assist numbers of Joe Ingles. With all of the point guards going through constant injuries, he has been putting up wild numbers. He has had double-digit assists in three of their past ten games, with at least eight in five games. With Donovan Mitchell knocking down shots from all over the floor, Rudy Gobert grabbing every single miss, and Ingles making plays better than even Ricky Rubio is able to do, they have it made. 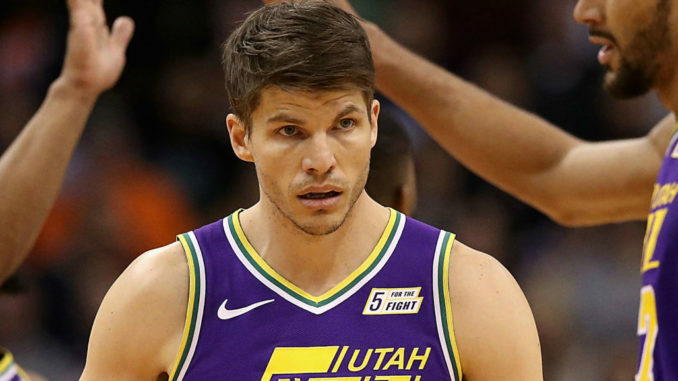 Utah might be the only team in the league who doesn’t have to panic when all three of their natural point guards are constantly on the injured list. Rubio, Exum, and Raul Neto have all shuffled in and out this year, all the while Donovan Mitchell has taken over as the primary ball-handler, and run with it. They have a shot at a first-round upset, but keeping their mojo with a W tonight would help. While resting a number of guys in their last game, we saw their top two reserves both in the starting lineup. Lou Williams made his first start of the year, while Montrezl Harrell made just his fifth. The team is hoping to have Danilo Gallinari in the lineup tonight, a player who has played a huge role this season, after playing in only 12 contests a season ago. This is a group that features an endless number of three-point specialists, and all of them will be called upon tonight. Montrezl Harrell is going to have his hands full with Rudy Gobert tonight, so we could expect a bit of a heavier dose of Ivica Zubac. Patrick Beverley and SGA have played well next to one another, with Landry Shamet slotting in as the third starting guard. They have one of the shortest starting-fives in the league, but it has not come back to hurt them in any way. On the last day of the regular season, make sure you bet LAC -6.5! Gallinari and Lou Will are going to combine for 55 points to help lead the Clippers to a win. Utah still finishes the year with 50 wins.